to add the ‘Magic Touch’ to your next event. Complete this form and we’ll get back to you ASAP. At Magic Touch Face Painting Perth our mission is to indeed add the ‘Magic Touch’ to your next event or birthday party in Perth. We aim to have everyone feeling special, to have fun and be wowed by our wonderful work and high quality service. 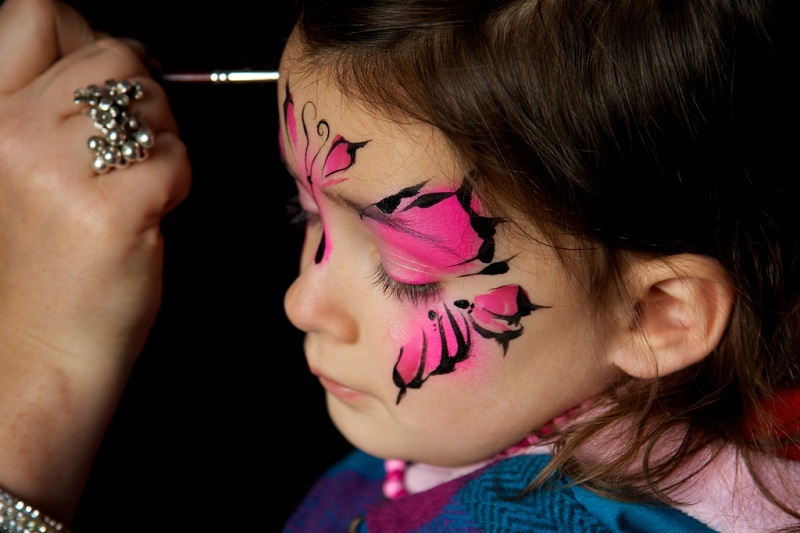 Regardless of your type of event, we have fabulous face painting pro’s for the job. We cater to Children’s and Adults Birthday Parties, Corporate Events, Festivals, Charity Events, Social and Community Events, and much more. Magic Touch is always striving to inspire and be inspired by imagination, creativity and wonder and to always continually work to improve our skills, service and customer satisfaction. As a passion turned business, our skills are mainly self-taught over years of love and energy put into the world of arts and crafts. With minds full of creativity, inspiration and imagination, we hope to showcase our wonderful face painting skills to you. Our paints are nothing but the highest quality, non-toxic, “Australian Standard” skin friendly products, designed specifically for face painting, to guarantee your peace of mind. After years in this industry, we have tried and tested them all, and have discovered the very best, for application, appearance and of course washing off. The paints we use are nonabrasive and all dry to a lovely light, powdery soft finish. Fantastic with kids of all ages. Our lovely team have great skills in tending to kids of all ages, from the most patient to the wriggliest ones. All the while creating what we call pieces of art that leave not only little ones excited but also have the big kids (adults) thrilled too. This is where our experience and thorough training comes into play so very perfectly, as we know and understand how to comfortably work in many different situations. 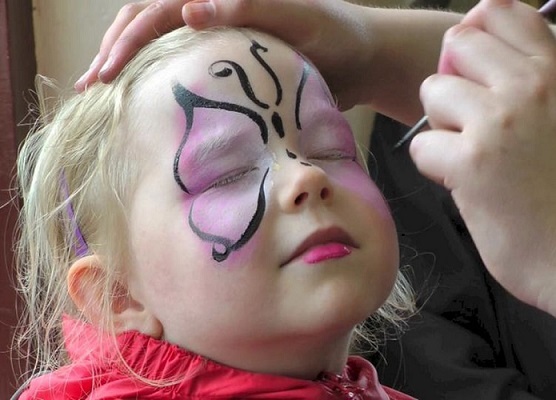 Magic Touch Face Painting Perth uses only safe, tested materials. We take care to use specific paint products that do not irritate even sensitive skin. We also use separate paints for body and face projects, to further prevent irritation or allergic reactions. As experienced and passionate providers in Perth, we have had the absolute pleasure of delivering our ‘Magic Touch’ to many, something that we are so very proud of, and always hope to continue. We cover all of the Perth metro and surrounding areas, from as North as Yanchep to as South as Mandurah, with the ability to also go to rural and country parts of WA if required. It is in our belief that everyone should have the opportunity to receive our ‘magic touch’. Our team consists of painters who are skilled artists, who specialize in the fine art of painting both kids and adults faces into cool, cute and crazy creations. Their skills certainly didn’t come over night. All of our team members at Magic Touch have undergone training and workshops, in order to craft their artistic sides to one’s perfectly matched for faces. No better way to spice up your next event of children’s birthday party. If you are thinking of a wonderful and exciting way to spice up your next event or child’s birthday party, then look no further. 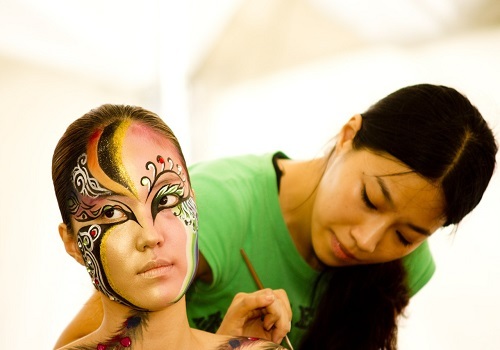 The fantastic art of face painting adds a whole world of wonder to any kid’s party, one that the children will surely not forget any time soon. Consider us a guaranteed fun addition to any kid’s party, corporate event, festival, charity or community event or other. We hold all up to date certifications. We’ll add a warm welcome dose of laughter, colour and excitement. Just wait until you look at the photos. We understand that good quality face painting is one thing. Have a particular theme in mind for your event? If you say your children have a particular design in mind, all they simply need to do is ask one of our lovely ladies and they will be more than happy to make it happen. We proudly can paint amazing animal faces, crazy cartoon faces, flowers, butterflies, superheroes & much more. A great addition to our corporate event! 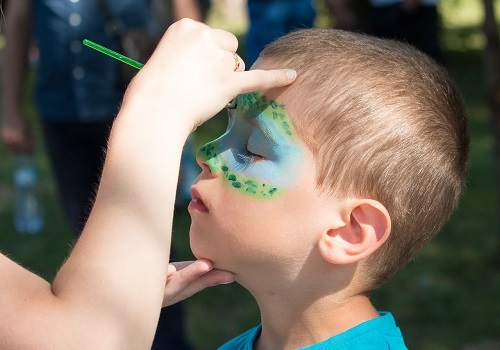 A last minute decision to get a face painter on board, and we are so very pleased to have connected with Magic Touch Face Painting. They added such an element of fun to our annual business gathering. From the bottom of our hearts, thank you for your such kind contribution to our charity event held over the long weekend. So very generous of you to donate your time and effort with the face painting. I definitely recommend these guys. The girls were certainly looking the part, my daughter said to me “Mum, look it’s a princess” and she was so happy to sit and have her face painted. What wonderful service we were given. I would be more than happy to recommend these face painters to anyone in Perth. The face paint work was excellent! Magic Touch Face Painting certainly has the ‘Magic Touch’. My husband and I were very impressed by the service we received and had such joy in seeing all of the children’s faces painted. Thank you so much. Our kids birthday party was a massive hit as everyone absolutely loved the face painting. I would like to again thank the face painter from Magic Touch, she was so wonderful with all of the kids. Underneath the beautiful face painting designs is still paint. To help soothe your concerns should you hire us for your event or party, we are proud to say our face paints are safe for anyone to use. In some paint formulations, a fragrance component comes from a chemical that may trigger itching or allergies. To avoid this, we use a fragrance-free formula. 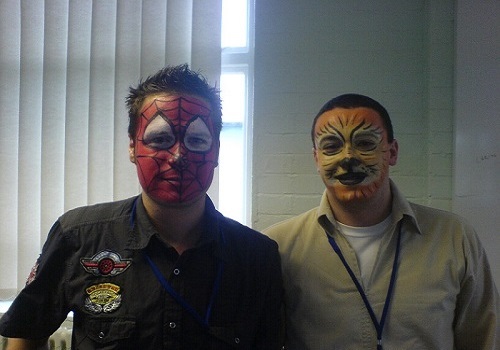 All of our face paints are manufactured according to the strictest standards of quality and consumer safety. Our suppliers are in full compliance with all applicable regulations, and every batch is tested to make sure it has no adverse effects on human skin. Finally, our paints are water-based. You do not have to worry about it taking days before the dragon face paint wears off. Just a quick wash and your face will be paint-free. As part of our commitment to safety and health, we also use glitter and other materials that are safe for use and non-toxic. Whether you are getting your face jazzed up with glitter or adding a flair through face paint and make-up, you can rest assured your skin is safe. Also, all of our personnel are trained in hygienic procedures that help prevent the spread of infections. We also provide correct cleaning equipment, so you can feel secure knowing that any germs from the previous face painting don’t jump onto yours. Contact us if you are in Perth today. We hope to hear from you, so please do contact us. Our team are excited and are a phone call away.